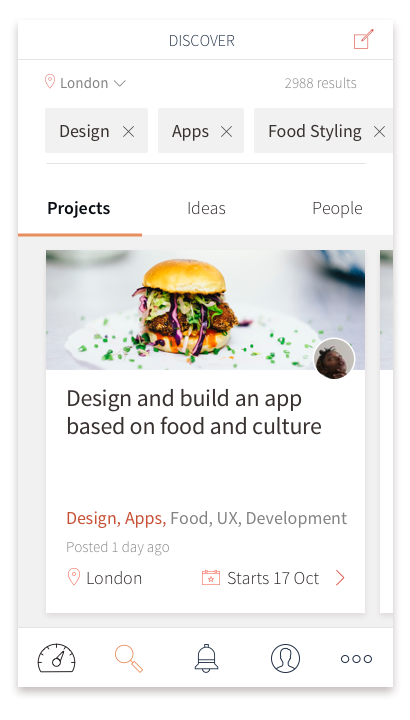 Mobile app helping freelancers find quality, project-based work that they care about. 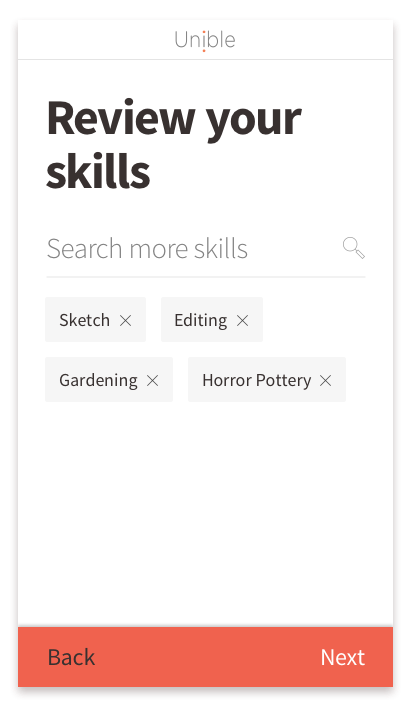 How often do you find quality, paid work based on your skills, let alone your interests? As self employed creatives, and part of the frustrated user group, creative technologist Matthew Woodham, developer and strategist Mat Trivett, and I teamed up to help other freelancers find meaningful work they care about. In the UK over 800,000 people are self employed in the Creative Economy. Currently we’re relying on role-defining online services like LinkedIn, broad Jobs Boards, vague agency briefs and word of mouth (arguably the most reliable) to find work. Given the nature of creatives, we tend to have a wide range of skills and interests, and if you do find work, it can seem unfulfilling if it doesn’t utilise these. 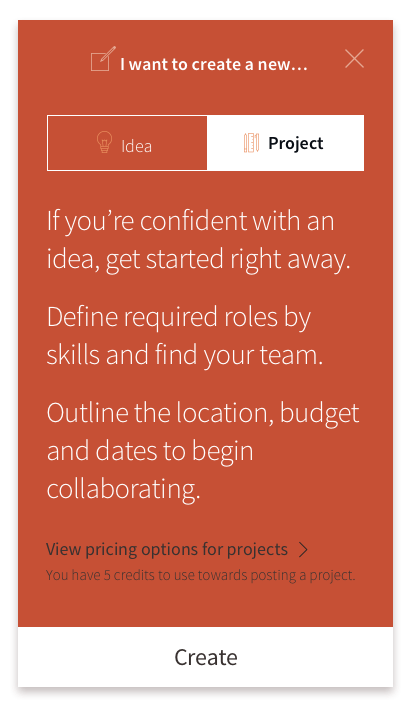 To create a space to find quality, project-based work. Defining yourself in a freer way, as well as search for ideas, projects and people, releases users from the restrictions of their usual networks, industries and job titles. We understand the power of existing professional communities, with the idea to launch one city at a time, on an invite only basis for key influencers, to maintain a curated experience. You're more than just your job title. 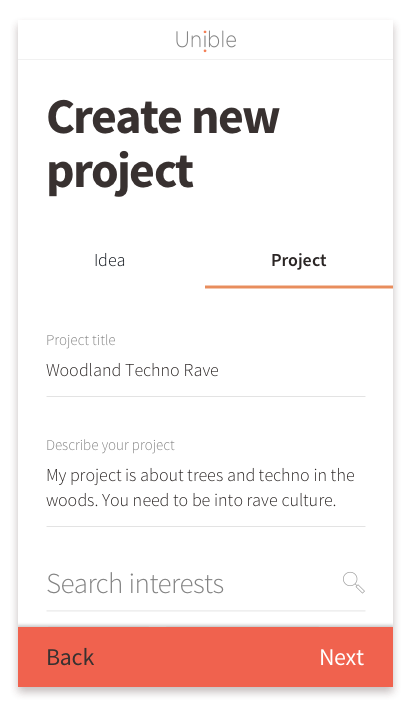 So we created a resource of people, ideas and projects. Being freelancers ourselves, and experiencing the all too familiar 'race to the bottom' trap of online services, we want to create a trusted space, built on existing working relationships and use the power of recommendations to build organic networks. 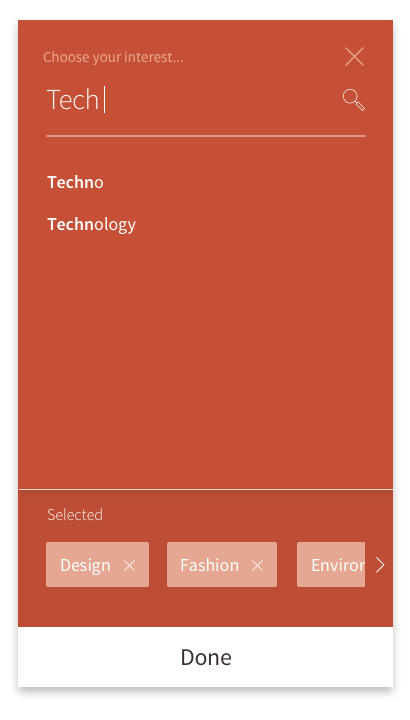 But much more than this, the platform should help multi-skilled users find work that actually interests them. 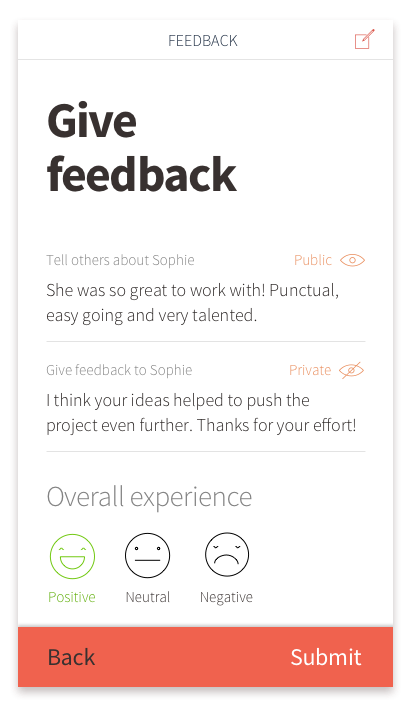 Use objective, anonymous feedback to develop your idea into a tangible project. Then find your team through trusted recommendations.